Microsep has collaborated, in conjunction with METTLER TOLEDO, with industry expert Dr Bob McDowall, to host a seminar on Data Integrity which is at present of growing importance in the Pharmaceutical and Food & Beverage industries. To register please fill in form below. For more info email: lisa.deconing@microsep.co.za or phone Lisa at 011 552 2300. Registration closes 10 July 2019. An analytical chemist with over 45 year’s experience, including 15 years working in the pharmaceutical industry for two major multi-national companies and over 25 years working for the industry as a consultant. He is Director of R D McDowall Ltd. Bob is an ISO 17025 assessor and he has been involved with the validation of laboratory computerised systems for over 30 years and is the author of books on the validation of chromatography data systems and data integrity and data governance in regulated laboratories. 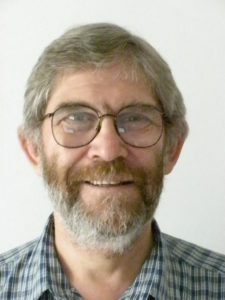 Bob is also the writer of the Questions of Quality (LC-GC Europe) and Focus on Quality (Spectroscopy) columns and is a member of the Editorial Advisory Boards of several Journals. He is also involved in the GAMP Data Integrity Special Interest Group and is a contributor and reviewer of the 2017 GAMP Guide for Records and Data Integrity and has contributed to the GAMP Good Practice Guide Data Integrity – Key Concepts published in 2018. He is involved in training courses on data integrity for the European Compliance Academy (ECA). If a registrant is unable to attend, Microsep must receive a written request (lisa.deconing@microsep.co.za) by 10 July 2019 to receive a full refund, less a R200 processing fee. A 75% cancellation fee applies to confirmed registrants who fail to attend and do not cancel by 10 July 2019. Substitutions will be accepted if authorised in writing by the original registrant.